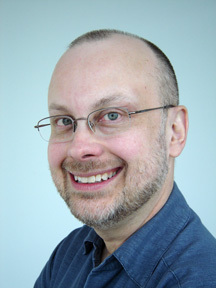 Stanley Schmidt at Analog Science Fiction and Fact has bought serialization rights to Robert J. Sawyer's seventeenth novel, Rollback. Analog will run the book's full text in four installments, in its October, November, and December 2006 issues, and its January-February 2007 double issue. The first installment will be on sale August 1, 2006. "I'm thrilled to be back in Analog," says Sawyer, whose last appearance there  with the short story "Shed Skin" in the January-February 2004 issue  won the Analytical Laboratory Award, voted on by Analog's readers, for best short story of the year; "Shed Skin" was also a Hugo Award finalist. "The single most important thing a book needs is word-of-mouth," says Sawyer. "The beauty of serialization is that on the day Rollback hits the stores in hardcover, 40,000 people will have already read it. You can't beat that kind of exposure." That exposure has paid off handsomely for Sawyer's previous Analog serials. The Terminal Experiment, which Analog ran under Sawyer's preferred title of Hobson's Choice, won the 1995 Nebula Award for Best Novel of the Year, and was a finalist for the Hugo Award. Sawyer's Starplex was the only 1996 novel to be a finalist for both the Nebula and Hugo Awards. And his Hominids won the 2003 Hugo Award. Rollback is Sawyer's fourth novel to be serialized in Analog  a record for serial sales to Stanley Schmidt, who has been the magazine's editor since 1978. Analog is the largest-circulation SF magazine in the world. "For me, Analog has always been the very definition of science fiction," says Sawyer. "I started buying it when I was 12, at a corner store next to my junior high school in Toronto; the clerk kept ordering it in each month just for me after that. I fondly remember waiting eagerly for the next installment in whatever serial the magazine was then running  and it thrills me to think that people are going to be doing that with Rollback." Following its serialization, Tor Books will publish Rollback in hardcover in April 2007  marking 10 years of Sawyer being with Tor; it's his ninth new novel for them, and the second book on a two-book contract that began with Mindscan, which has just come out in paperback after a successful run in hardcover. Sawyer's editor at Tor is David G. Hartwell. Dr. Sarah Halifax decoded the first-ever radio transmission received from aliens. Thirty-eight years later, a second message is received  and Sarah, now 87, may hold the key to deciphering this one, too ... if she lives long enough. A wealthy industrialist offers to pay for Sarah to have a rollback  a hugely expensive experimental rejuvenation procedure. She accepts on condition that Don, her husband of sixty years, gets a rollback, too. The process works for Don, making him physically twenty-five again. But in a tragic twist, the rollback fails for Sarah, leaving her in her eighties. While Don tries to deal with his newfound youth and the suddenly huge age gap between him and his wife, Sarah struggles to do again what she'd done once before: figure out what a signal from the stars contains. Exploring morals and ethics on both human and cosmic scales, Rollback is the big new SF novel by Hugo and Nebula Award-winner Robert J. Sawyer. You see, that is what I love about your work, Robert. It isn't just great science fiction, it's great storytelling that poses important societal questions as well. Rollback looks like it is going to be another "good'un" to sink my teeth into. I've been starved of your stuff for too long, with Starplex being the only work of yours I haven't assimilated yet. Being a web designer/developer, my first thought when I saw the title was of databases. I've also heard the word use when talking about taxation (and government U-turns, as they say in my native England). "Rollback" makes some people on this side of the pond think of Wal-Mart; they have an ad campaign about rolling back prices. Awesome! Congrads! I love your work, absolutely love it, and I can't wait to read Rollback!